Here is the new entry in Nordenfelt‘s development log. Since the last post the game hit the home stretch regarding explosions. Nordenfelt got its small and medium unit explosions done. 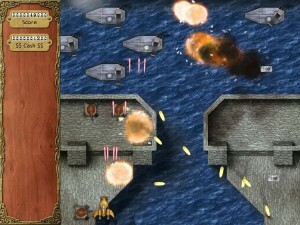 Furthermore the GUI shakes now when multiple strong explosions happen at once. Simple gimmickry but easy to code. Currently I’m working on the end boss its implosion-explosion-fireball ending. Hope it comes off as it promises to be. When all this eye candy work is done I’m looking forward to improve the gameplay mechanics. More equipment is overdue, mouse cursor aiming may be interesting to try and procedural grinding (money-making) levels sound interesting. Just to name a few. Here is the new entry in Nordenfelt‘s development log. 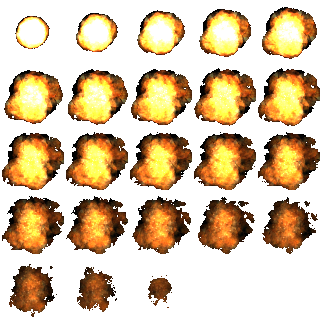 This week I’ve finished the explosion effect for small units. Sorry for the low-quality GIF animation. My new flat’s internet connection will be set up next week. Until then I have to work with my old, wireless, prepaid-and-soon-depleted modem thingy. 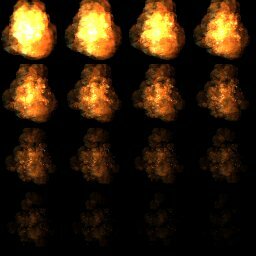 Researching and making these explosions took quite some time. I started it somewhen around dev log 22. Hell, that was 5 weeks ago! Reducing Nordenfelt to part-time development was naturally a step on the brakes. Therefore I’ve decided to continue this dev log in a bi-weekly manner instead of once per week. This way posts will get more substance. 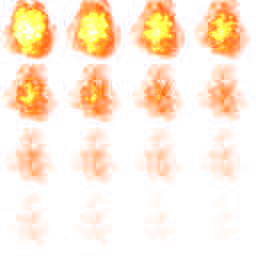 Enjoy the explosion GIF and feel free to support me making more such detonations by preordering Nordenfelt. See you next week in two weeks. Here is the new entry in Nordenfelt‘s weekly development log. And it’s still about explosions. 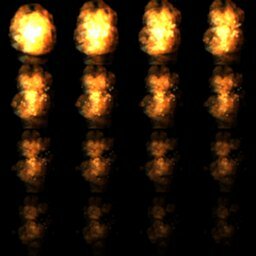 This week I’ve checked out some tools for particle effect authoring. There are some free editors out in the Internet wilderness but nothing really worthwhile. So I quit searching for a free solution and found TimelineFX from Rigzsoft. It’s a useful yet affordable tool (£29.99 at time of writing) and comes with a load of free effect libraries. What the heck. Some diversified smaller explosions combined work as well. For the diversification I’m currently integrating a new feature into Nordenfelt’s particle engine. Particle attributes will become controllable by graphs. So far they just interpolated from a start value to an end value over lifetime. E.g. a smoke particle can start full opaque and fades linearly to full transparency. The new controller graph can make particles blink, pump, wobble, start delayed, etc. – everything the heart desires. As usual: don’t forget that you can help getting Nordenfelt done, test the game’s latest versions and discuss the game in the secret development forum with other preorderers by preordering Nordenfelt. If you like to stay in touch, be sure to subscribe to the RSS feed, email newsletter or listen to my tweets at @black_golem. Here is the new entry in Nordenfelt‘s weekly development log. This week was also dedicated to researching and testing explosions. Unfortunately there wasn’t much progress due to many personal distractions. So I won’t show you any altered assets this time but a simple trick how to make opaque sprite sheets transparent with GIMP. You can help getting Nordenfelt done, test the game’s latest versions and discuss the game in the secret development forum with other preorderers by preordering Nordenfelt. If you like to stay in touch, be sure to subscribe to the RSS feed, email newsletter or listen to my tweets at @black_golem. 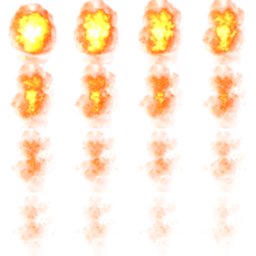 Many explosion sprite sheets on the Internet have opaque backgrounds. If you wanna use them in your game you have to make their background colors transparent. This can be done by colorkeying (a little bit old-school) or by converting background pixels to transparent ones using target formats like DDS, GIF or PNG. It’s an easy job in case of binary transparency where a pixel is either full transparent or full opaque. Just open the image with GIMP, select all pixels of the background color with this tool and hit the DELETE key. Be sure that the layer has a transparency channel, otherwise add it before you hit DELETE.